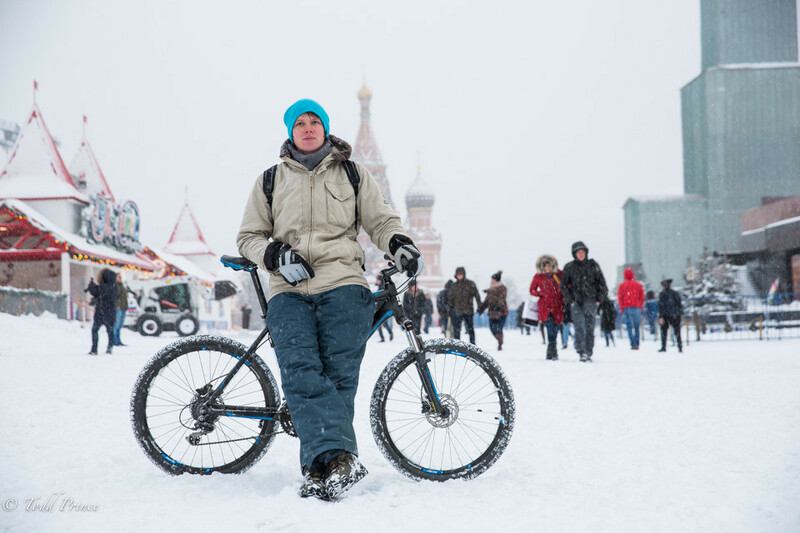 Igor, nearly 30, was crossing Red Square on his bike amid a heavy snow storm right before New Year’s. A former gym trainer with more than five years experience, he said he had biked about 7 km to Red Square and planned to bike the rest of the day. He said he planned to spend the New Year’s night biking around Moscow with his new girlfriend … just like he did on Dec. 31, 2013.